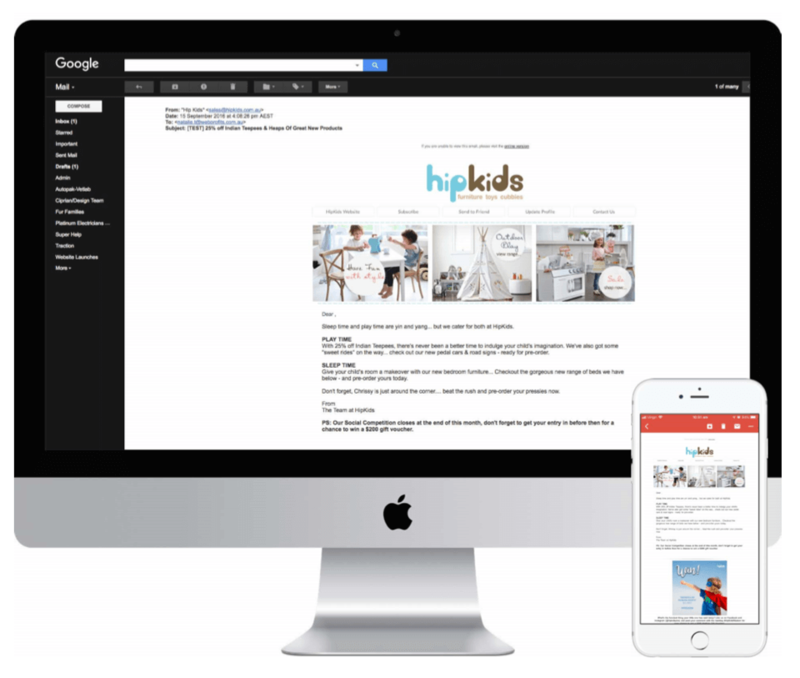 HipKids approached Web Profits around the start of 2017 with ambitious goals to grow their e-commerce store, having established their eBay more than 10 years prior and physical store 4 years prior. With little success in digital marketing up until that point, and a number of challenges to overcome, we took a Fluid approach to growth marketing in order to help them (over) achieve their goals and substantially grow their business. Deciding to take matters into their own hands, they start an eBay store selling wooden toys that were not only beautifully designed and functional, but would last the test of time. With products that resounded well with parents and were loved by kids, the business expanded into a brick and mortar shopfront plus an e-commerce site stocking 700 high-quality kids toys, furniture and cubby houses. 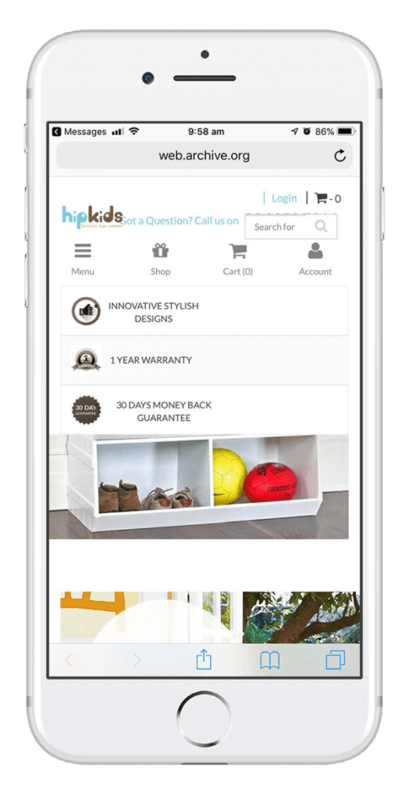 With increasing competition from large digital savvy retailers, HipKids needed to step up their marketing. To combat, they hired several different agencies to run each aspect of their overall marketing campaign. They also launched a new website to better represent their brand and increase sales from the traffic they were generating. 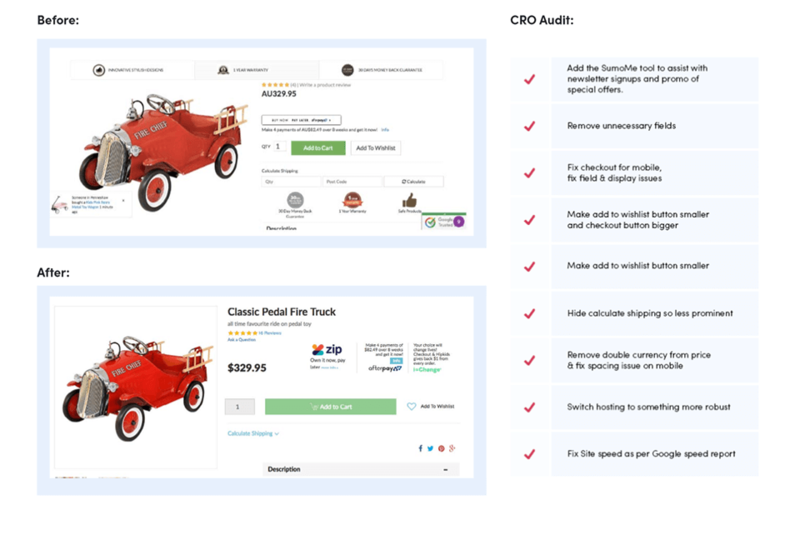 Even with multiple agencies running their digital marketing channels, a brand new website that took 6-months to launch and a significant investment, their eCommerce sales and revenue declined. At the start of 2017, HipKids wanted a change in direction and asked Web Profits to devise a plan to ramp-up their online business growth. 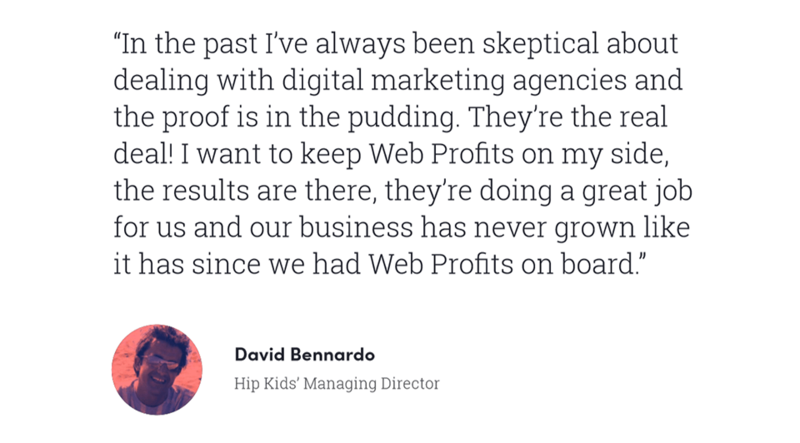 Web Profits discovered a fragmented approach by the number of agencies tasked with growing HipKids. Each agency had been working towards growing different metrics including ones that didn’t directly link to business growth, e.g. organic keyword rankings. Without collaboration, opportunities to maximise the return from campaigns were also being missed – e.g. when an amazing piece of content was created by the agency managing SEO this wasn’t promoted by the agency managing social media or emailed to the database. With multiple agencies and no single lead in charge of marketing there was a lot of passing the buck, duplicated account management which David described as “an absolute nightmare to manage”, and reporting from multiple sources didn’t match the end sales. With competition tough on Adwords and other advertising channels, our data analysis found that HipKids were running unprofitable campaigns even when lifetime value of a customer was considered. This meant that for every click generated HipKids lost money and essentially gave away their product for free. 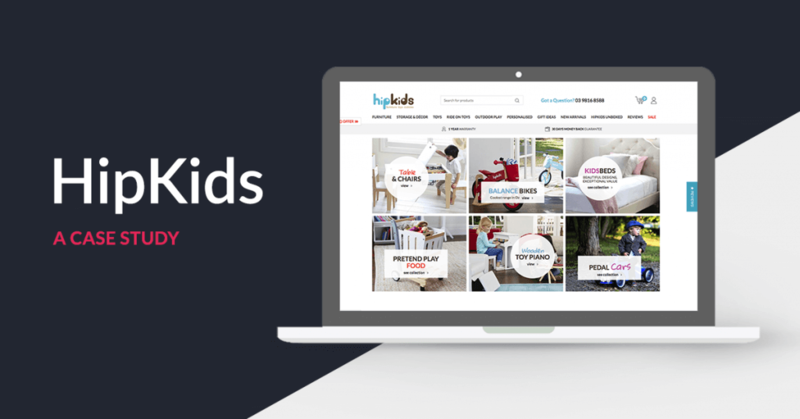 Despite over 700 products in stock, HipKids were only targeting search ads for a small number of their most popular products, which were the most competitive online and thus had the lowest return. The new website’s product feed had major implementation errors leading to poor performance in the shopping campaigns. This meant that dynamic remarketing could not be implemented. Advanced features like Audiences, Attribution Modelling and AI assisting bidding were not being utilised across the campaigns. With parents amongst the highest users of mobile shopping, rapidly growing mobile use and a brand new site, we expected to see high performance on mobile. We found that despite 58% of HipKids traffic on mobile devices only 0.57% of these users were purchasing. We identified significant user experience issues that were holding the performance of HipKids’ website back across all channels. 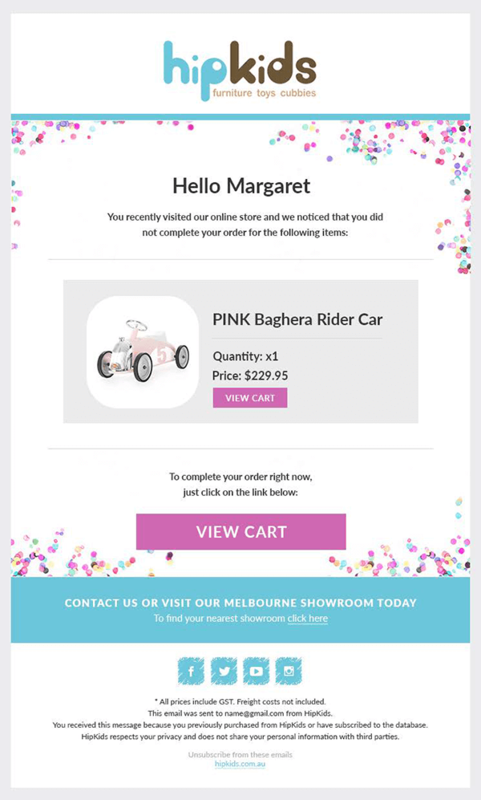 Whilst email marketing was performing well due to the repeat purchase nature of their products, as a channel it wasn’t time efficient with all emails manually designed and sent each week. 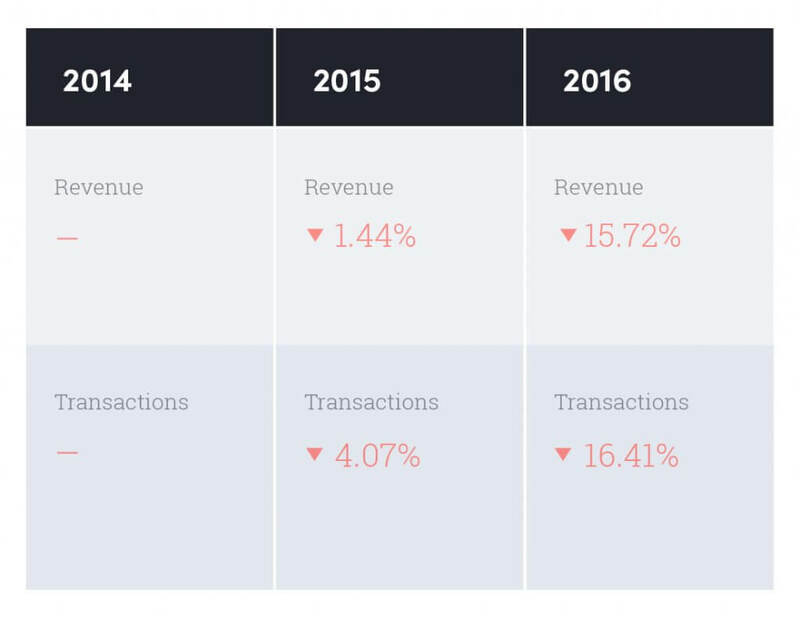 With email representing just 4.86% of total revenue for the year, time spent was disproportionate to the return generated. Although HipKids did well to build organic traffic when they launched, after the initial wins, traffic stagnated. To address this they employed several different SEO agencies. 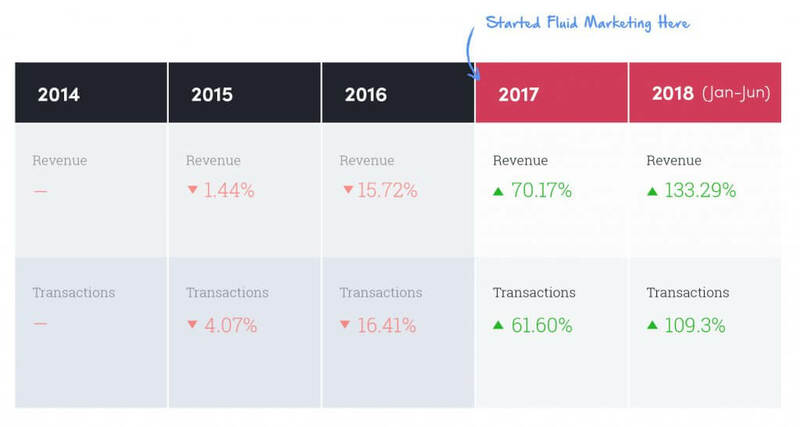 Despite this investment, from 2015 to 2016 organic traffic fell by 3.48% and at the same time revenue from this traffic fell 18.60% with high-quality keyword rankings dropping and thus traffic quality declining. With high cost per sales for all of their paid sources, organic or “free” traffic was an essential part of their strategy which offset paid traffic sources and significantly lowered blended cost per acquisition however with this dropping their overall business profitability was threatened. 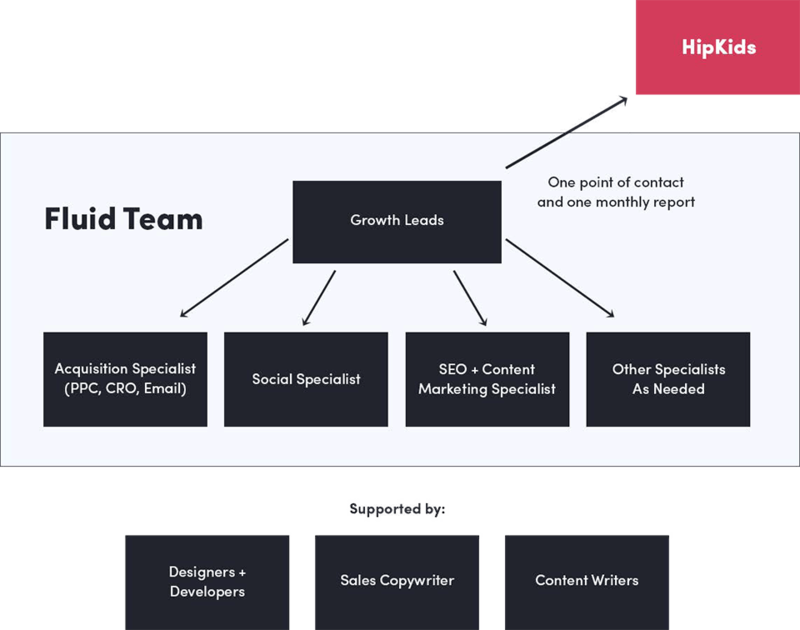 To solve the issues with multiple agencies and goals, Web Profits created an internal growth team for HipKids utilising a product we call Fluid Marketing. We appointed a senior e-commerce specialist and choose a team of digital marketing experts whose experience covered every channel required to achieve success. This team were tasked with achieving growth for HipKids and set about brainstorming growth levers, prioritising ideas based on the likely impact using the ICE method, and then rolling out and testing each before scaling the successful ones. This approach of all channels working towards one goal achieved far better results than the previous siloed efforts. We could rapidly optimise and allocate budget fluidly across all channels to put time and investment into the areas that were working best, instead of simply doing what we’d initially planned. With one team, we built robust digital funnels and utilised every resource we created across all channels which maximised the ROI generated from our efforts. With the right optimisation work and utilisation of every feature available to us, we knew we could make the Adwords campaigns profitable. We focused on increasing the volume of sales being generated and increasing the ROAS, so that every sale generated was profitable and ensured the cashflow to support further investment and growth. Comprehensive Search Campaigns: To ramp up the number of search ads we were running and to ensure we targeted every product on the site as soon as they were added, we utilised Dynamic Search ads ensuring we regularly optimised and improved the campaigns through negative keywords. Shopping Campaigns: We identified and worked closely with HipKids development team to rectify a long list of shopping feed errors. This saw an immediate jump in performance which was enhanced as we optimised on the individual product level to identify good and poor performing products. Dynamic Remarketing: Once the shopping feed issues were fixed we relaunched dynamic remarketing and saw an immediate jump in performance vs the standard remarketing ads we were running. This was further enhanced when we embraced responsive ads which meant our ads appeared in more locations delivering a higher volume of sales. Audiences: Due to the repeat purchase nature of HipKids products we utilised audiences of website visitors, cart abandoners, purchasers and custom-audiences of the email database and applied bid modifiers to spend more on these top performing audiences. We also utilised similar audiences. AI Bidding: With so many variables now to optimise our bids, we chose to test a range of AI bidding options on the campaigns. We tested both Target Return on Ad Spend and Target Cost Per Acquisition on each of the campaigns and found they both significantly ramped up our campaign performance. Attribution Model Changes: HipKids had been utilising last-click attribution which meant keywords higher up the funnel were paused due to poor performance. 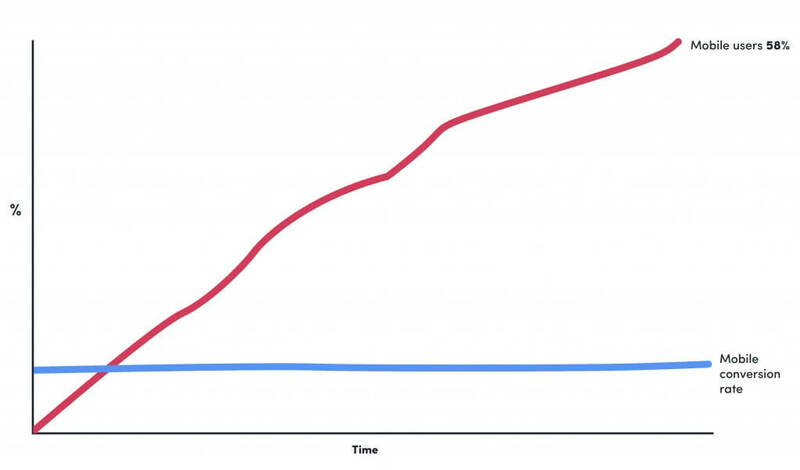 To ensure we optimised for the full funnel, we changed the attribution model to time-decay which allowed us to bid on top of the funnel keywords, giving the AI bidding more data to learn from. We utilised conversion rate optimisation to ensure that every click from Adwords and other channels, had the highest possibility of converting into a sale, regardless of device. We began with a comprehensive CRO Audit utilising quantitative data from Google Analytics, and qualitative data from screen recording and surveys utilising Hot Jar. We found several major opportunities to improve the user experience of the website, particularly the mobile site which had no doubt been frustrating parents and grandparents alike trying to purchase. 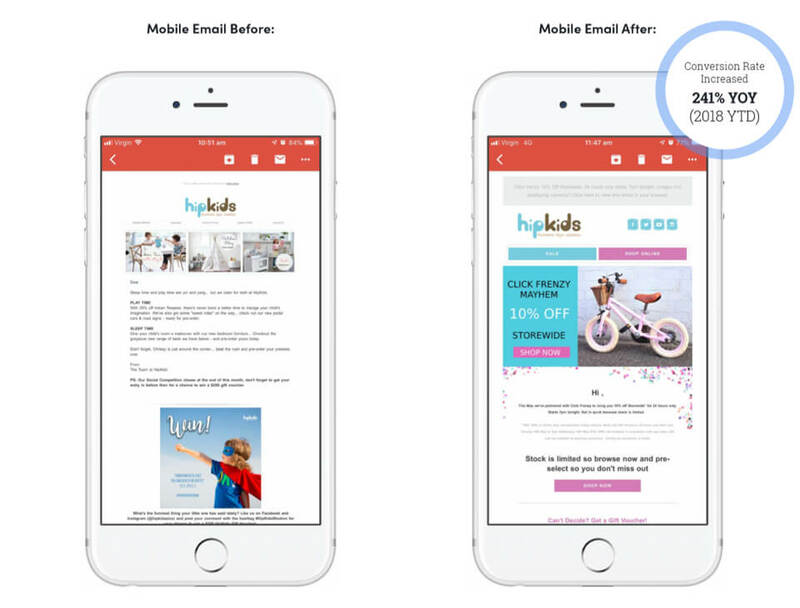 We set about automating the vast majority of HipKids’ email marketing to cut down on time spent and so every purchaser had the same great experience needed to drive repeat purchases. Following the change in mobile design, we wrote, designed, and developed an automated email series that was triggered to the emails that we captured. These welcomed people to the database, gave them a free gift to encourage initial or repeat purchase, and introduced them to HipKids’ brand, outlining the most popular categories, products, and website content. We also created an abandoned cart recovery sequence which triggered automatically to recover anybody who started checking out but didn’t complete it. Keyword Rankings – looking at which search terms HipKids currently ranked for to spot opportunities and issues. 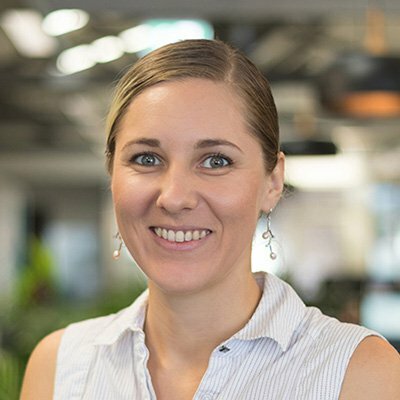 Onsite Optimisation – looking at HipKids website structure, meta & title tags and other best practice onsite optimisation techniques. Errors & Issues – looking at technical errors and issues with the website such as redirect errors. Backlinks – analysing all of HipKids current backlinks to determine toxicity and if any needed to be disavowed. Site Speed & Usability – analysing the speed of HipKids website and the usability across mobile & tablet devices. Content – reviewing the content used throughout the to see how it could be improved. Competitors – auditing competitors who were ranking in the top spots for our targeted search terms to see how they obtained those rankings. Once we uncovered the issues and opportunities we then set about fixing each issue in priority order. The biggest issue identified was a complete lack of relevant content on the website and with no blog, crawlers had little information on what HipKids was trying to sell. To solve this issue we utilised our team of copywriters who built out unique content across all category and sub-category pages on the website to enable to them to rank for high-volume search terms. We also created a blog and utilised tools that showed us industry and competitors top shared and linked content to identify exactly what we should write to get the most traction. 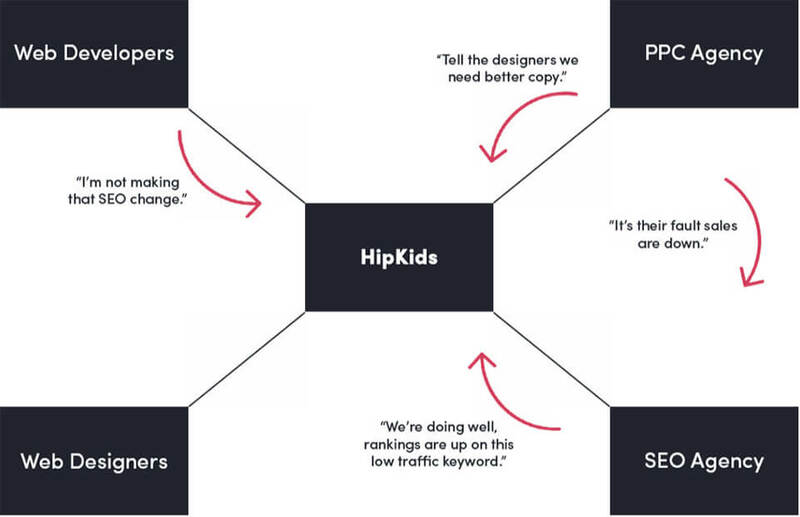 By taking control of all channels and a growth-focused team running the campaigns towards a single goal, HipKids have seen incredible growth. Now in the biggest year of growth they’ve had since they started 12 years ago, this year is on track to more than double 2017. Email marketing revenue up 328.01% with mobile increasing by 487.22%. With these increases, online sales have now surpassed their bricks and mortar shop. However, in David’s own words, “It’s not all about the money”, as both Sue and David are thrilled that the results mean their quality toys are “putting a smile on” twice as many of kids around Australia this year compared to last. Fluid marketing is an approach that can work for any business. If you’re interested in finding out what it can do for your marketing performance then get in touch and our strategists will arrange a time for a chat.